Are you new to QHSE? Then start with downloading your free integrated systems manual and you can start using it in your business today! Learn how a quality management system can improve your business performance. In addition learn about ISO 9001 certification. Learn how health & safety systems can protect your employees. Learn about ISO 45001 certification. Learn how environmental management can protect the environment. Learn about ISO 14001 certification. 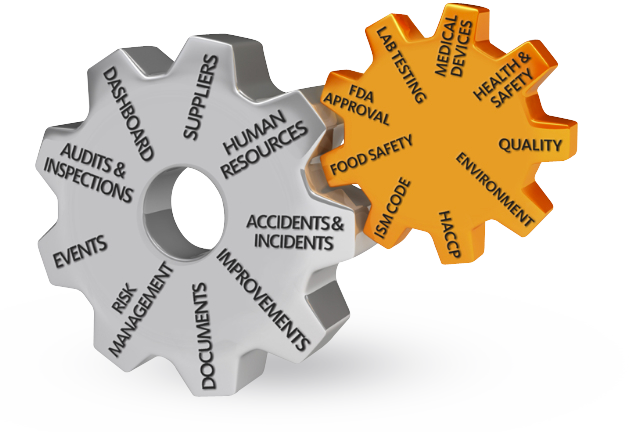 Learn how food safety systems can protect the safety of your customers. In addition learn about ISO 22000 certification. Learn how information security systems can protect the confidentiality, integrity, availability of data. In addition learn about ISO 27001 certification. Learn how a integrating your management systems can improve your business performance.